Congress President Rahul Gandhi hosted an Iftar party on Tuesday, which saw the presence of former presidents Pranab Mukherjee and Pratibha Patil, and former vice president Hamid Ansari. 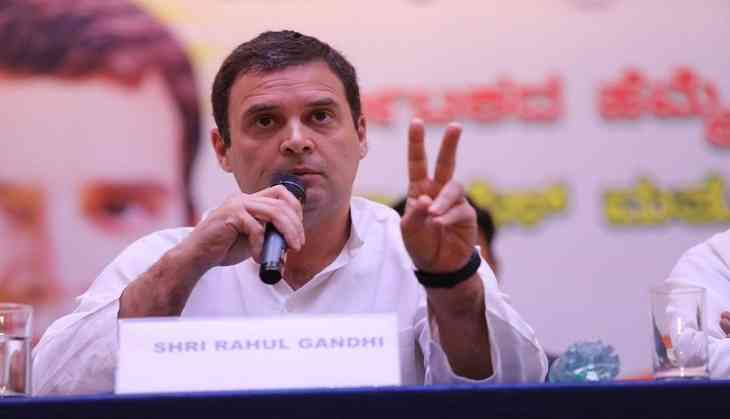 Congress leaders like Randeep Singh Surjewala, Anand Sharma, Ghulam Nabi Azad, and prominent actress Nafisa Ali attended the get-together at a hotel in New Delhi. Opposition leaders like DP Tripathy (NCP), Danish Ali (JD(S)), Manoj Jha (RJD), Dinesh Trivedi (TMC), Satish Chandra Mishra (BSP), Kanimozhi (DMK) and Sitaram Yechury (CPI-M) were also present at the dinner. Rahul Gandhi also welcomed foreign delegates, including Russian Ambassador to India Nikolay R Kudashev. The Congress President took to Twitter and said, "Good food, friendly faces and great conversation make for a memorable Iftar! We were honoured to have two former Presidents, Pranab Da & Smt Pratibha Patil ji join us, along with leaders from different political parties, the media, diplomats and many old & new friends." However, UPA chairperson Sonia Gandhi missed the party owing to her ongoing treatment abroad.